- Array Tool: Parameters can't be animated for meshes. 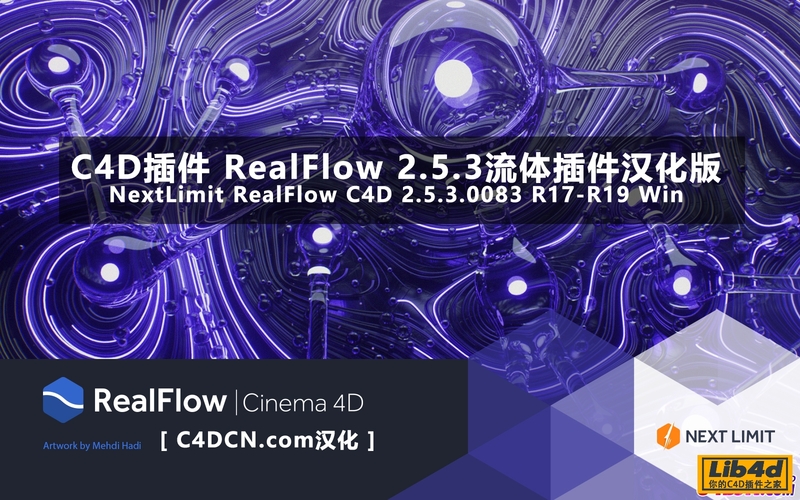 - Initial State files created in RealFlow | Cinema 4D 1.0 are not compatible with 2.0 version due to the switch from RPC to Alembic. - When using a multi-segment spline with the spline emitter node the "Prev" and "Next" buttons only iterate through the control points on the current segment. - Mesh fluid/emitter weight vertex map computation is limited to a maximum amount of 10. -358 - File paths can't have unicode characters on Mac OS X. -519 - Simulation steps configuration from RealFlow | Cinema 4D 1.0 scenes is reset to Auto mode when opened in 2.0 version. - Simulation look on render may differ between multiple simulation/renders unless caching is enabled. - Objects deformed with Rigid, Elastic and Particle Skinner only support motion blur when using the Point Cache tag. - Particle render instances are not rendered/recognized by NVIDIA's Iray. - Motion blur with meshes doesn't work with NVIDIA's Iray. - Motion blur with meshes doesn't work with Maxwell Render. - Particle render instances original objects remain visible during render. - Cinema 4D crashes on caching if the cache folder field is empty. - Animated cache offsets do not work in render time. - Setting the same fluid as source and target in a Filter daemon freezes Cinema 4D. - Attractor daemon "Internal Radius", "External Radius" and "Planet Radius" parameters should have units. - Attractor viewport representation does not match its behavior when Attenuated is enabled. - Mesher vertex maps don't work with Octane render. (Version 3.08 of Octane plugin fixes the issue). - There is a one frame offset when rendering meshes with motion blur enabled. - Particle UVs are not loaded in cache mode. - It is possible to type negative values for scene simulation steps and iterations. - Emitter ID value is not preserved on scene reopening. - If a segment is removed the configuration of the circles of the other segments is reset. - Undo/Redo is not working when a control point is added. - Having two or more k Isolated daemons linked to the same fluid makes the isolation value grow as many times as the number of k Isolated linked daemons.